Well, wonder no more! Whether you’re balancing carbs, calories or just want to know what ingredients are in your Chick-fil-A meal, the information is right at your fingertips. We know that nutritional information is front and center in the mind of almost every customer. And if it’s calories you’re counting, the next time you’re inside the restaurant, simply look up! Our menu boards display calorie counts for every menu item. If you’re concerned about food allergies, just ask a restaurant Team Member for a nutrition guide. Team Members can also print the ingredients for any menu item at the register . It’s easy to plan ahead, too. 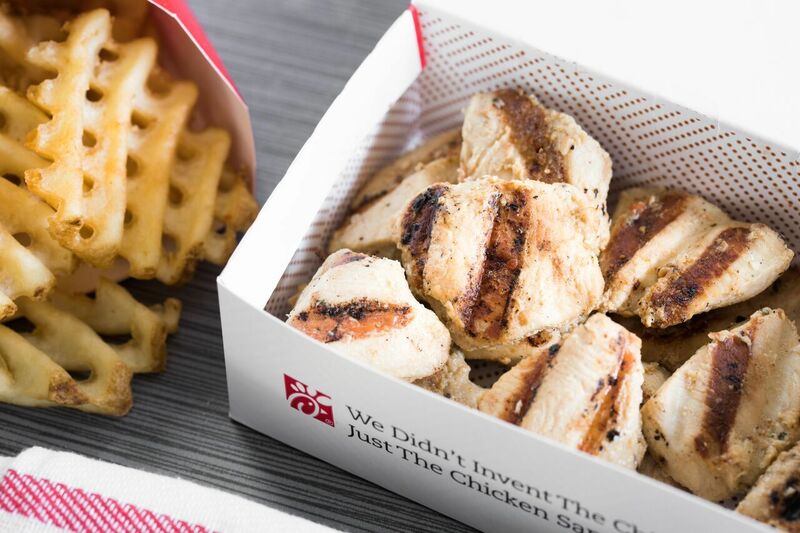 You can learn all the facts about every item on the Chick-fil-A menu on our website. Just click on any menu item for calories, fat, carbs, protein and other ingredient and allergy information. We’ve got you covered on-the-go, too! You can access nutritional information through Chick-fil-A’s mobile app, Chick-fil-A One. Not only are all the ingredients available for every menu item, the app updates the calorie count when you customize your favorite order.